When it’s a Saturday night and some of your gal pals are round for a slumber party, a chocolate-based pudding is a must. I love this white chocolate mousse because it’s easy to make, it’s so pretty, and the strawberries cut through the chocolate to stop it from being too cloying and heavy. Make the individual mousses in advance, and keep them in the fridge – that way there’s no fuss in between courses and it couldn’t be easier. 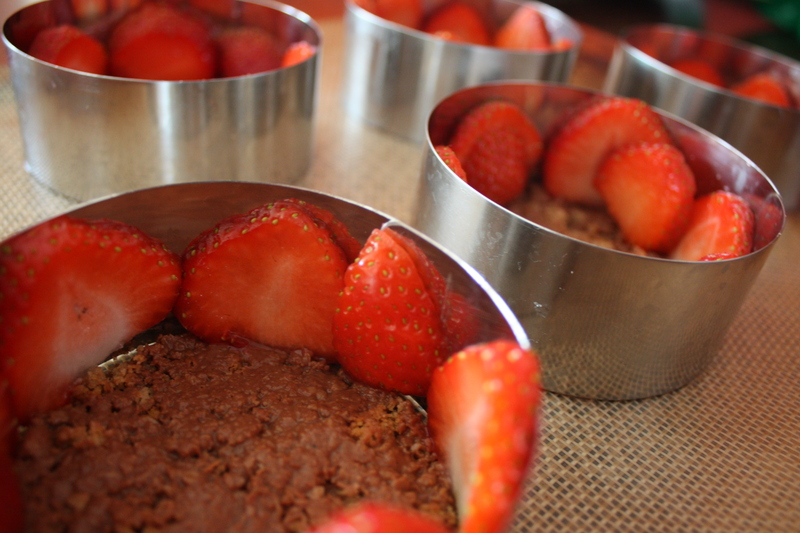 Ideally you need to start thinking about making them at least 4 hours before you intend to eat. You’ll also need some rosti rings – if you’re feeling frugal though, carefully saw through some baked bean or chopped tomato tins to make your own set of circular moulds. Begin with the base. Heat the plain chocolate in a bain marie. While it’s melting away, put the hob nobs in a bag, and bash them repeatedly with a rolling pin until you’ve got a bagful of crumbs. Stir into the melted chocolate. Put the rosti rings onto a non-stick tray. 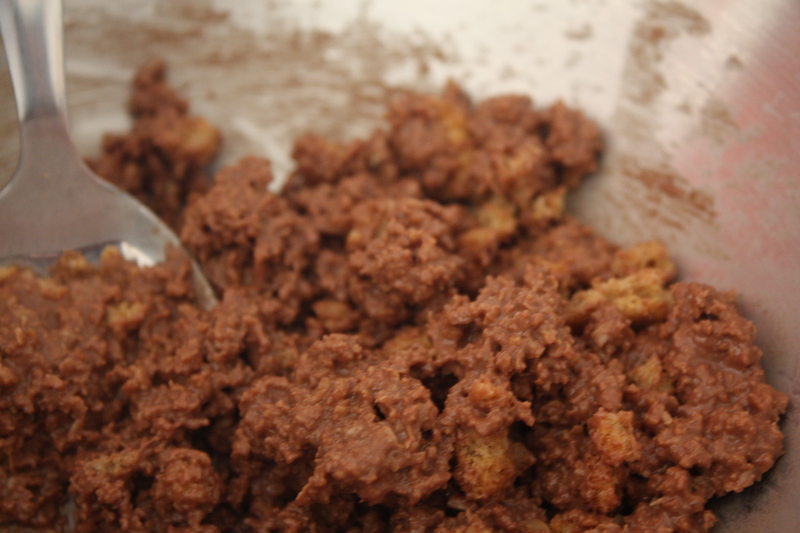 Use the rounded side of a teaspoon to press down a layer of the chocolaty biscuit as a base in each of the moulds. Just a small tip: the thinner the better – I’ve made these with a really thick base before and it makes the pudding too heavy. Put everything into the fridge so that the base sets – although an hour is ideal, 10 minutes will just about do if you’re in a rush. 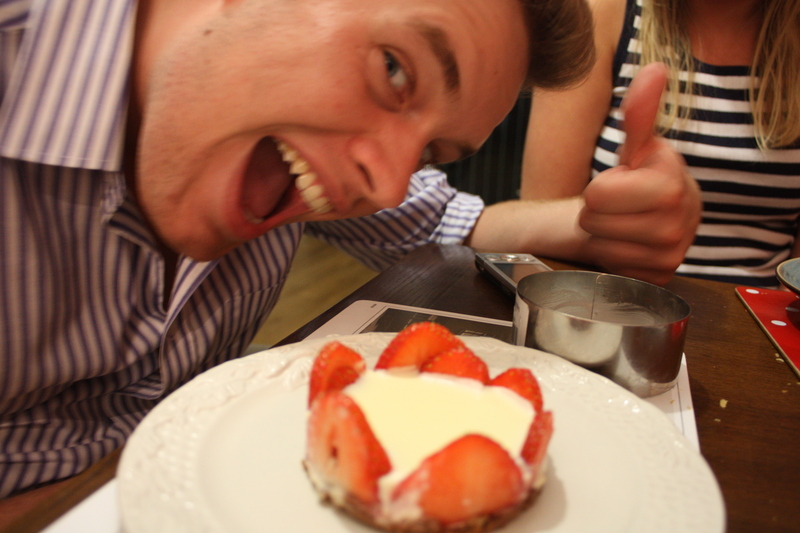 Meanwhile, thinly slice the strawberries. 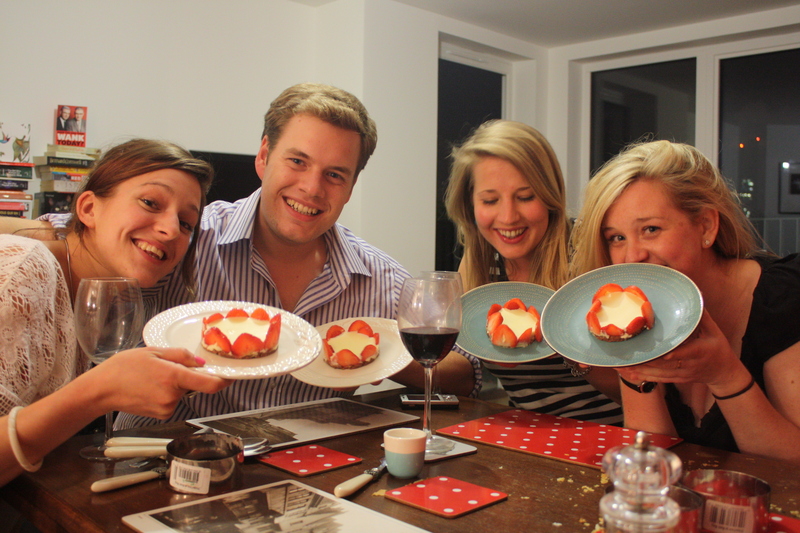 When you take the bases out of the fridge, arrange a circle of strawberries around the inner edger of the rosti ring. 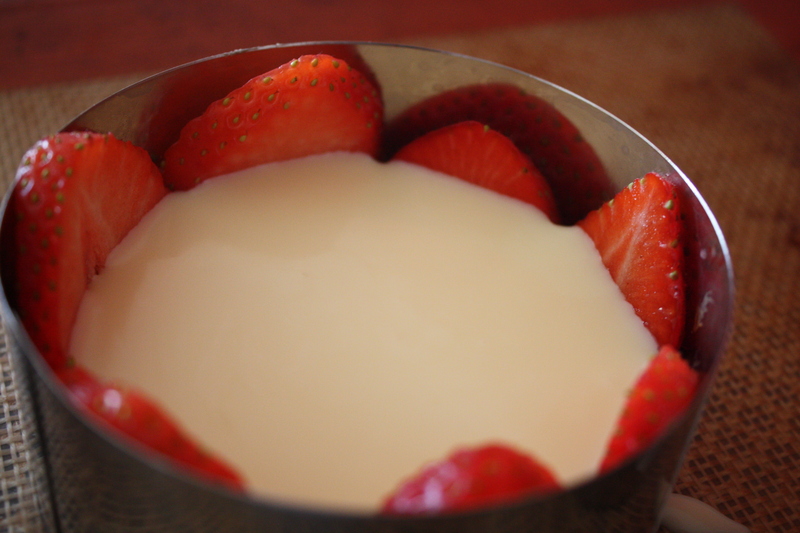 To make the mousse, melt the white chocolate in a bain marie. Then stir in the crème fraiche and double cream. Pour this into the centre of the moulds, and fill up to 2-3cm. Put everything back in the fridge, and leave it to set for 4 hours or so. 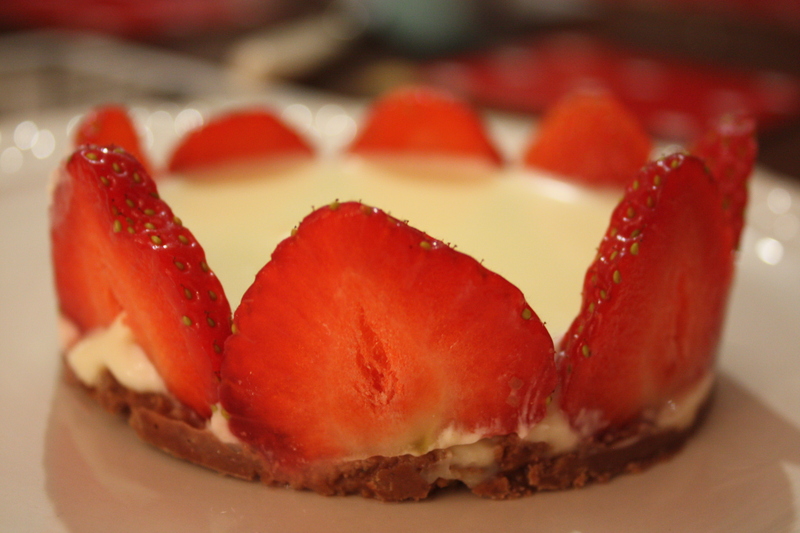 Serve with extra strawberries, or a drizzle of strawberry coulis and sprig of mint. As you can see, it’s a real crowd-pleaser.